This mod is not currently maintained. See mods.smapi.io for alternative mods. 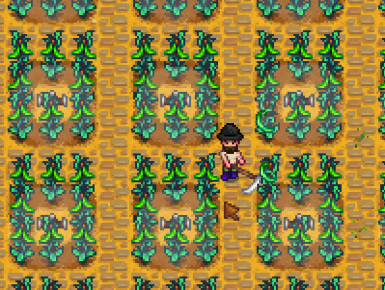 A little quality of life mod that changes the behaviour of all flowers and crops (including crops on a trellis, and those that regrow) to be harvestable with the Scythe. Much quicker!